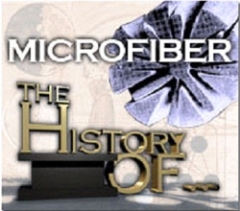 How did microfiber come about? Microfiber, once an exotic new development, has become an everyday part of our lives. Yet you might be surprised to learn that no one is exactly sure when and where microfiber was first developed. Some say it was invented by the Japanese during the mid-1970s. Others claim it was first introduced in England around 1986. A third argument can be made that Sweden marketed the first commercially viable microfiber around 1990. The most interesting account of the story, however, is that Japanese scientists first developed microfiber about 40 years ago. According to this version of the facts, these scientists were looking for a new fabric for women’s sports apparel, especially for swimwear. They wanted to develop a lightweight fabric that attractively conformed to the body. However, microfiber swimsuits turned out to be a spectacular failure; the fabric absorbed water and other moisture making it very heavy and uncomfortable when wet. Although the fabric did conform well to the body, the discomfort of wearing it made the suits essentially unusable. European scientists took a second look at microfiber about 10 years later and quickly realized that such a highly absorbent fabric, while unsuited for swimwear, could be ideal for cleaning purposes. The product was further refined and the marketing of microfiber to the professional cleaning industry began around 2001. By definition, a microfiber is about half the diameter of a fine silk fiber (much finer than a human hair). In fact, the fibers are so tiny that if you took a 16" x 16" microfiber towel and laid the fibers end to end, “it would reach from Miami Beach to Anchorage,” says Ira Sutton, National Marketing Director for Edge Tech Industries, a leading manufacturer of microfiber products. Microfibers are actually made of several different materials, including polyester, polyamide (nylon), and other fabrics in various combinations. (This variation in materials is actually somewhat to blame for the confusion regarding microfiber’s origins.) In fact, if more or less of one fabric is used, or if the manufacturing process is altered, the finished product can be labeled as nylon instead of microfiber. The characteristics of its components make microfiber particularly useful for the cleaning industry; polyester is an ideal material for scrubbing and polyamide creates exceptional absorbency—the fibers can absorb as much as seven times their weight in soil or liquid. There are many steps in the microfiber manufacturing process, and this means that it can cost as much as 30% more to make than traditional terry cloth cleaning towels. However, because they are considered so much more effective than conventional towels, helping to enhance worker productivity, and because they are often a key component of hygienic cleaning programs, many end users strongly believe that microfiber products are worth the price. The effectiveness of microfiber diminishes if it is not washed and cared for properly. Microfiber cloths should not be washed along with other fabrics. Washing them separately helps prevent lint from other materials from clinging to the microfiber. Also, microfiber should not be washed using bleach, fabric softener, or high temperatures. Some experts recommend using only liquid laundry detergents, rather than powders, as these may leave a soapy residue on the absorbent fibers, making them less effective. Finally, always dry microfiber using only low heat—or, even better, with no heat at all. This is because high temperatures can actually melt microfibers. Should you be using microfiber cloths and mop heads? The answer is a loud and clear yes. There is little controversy when it comes to using microfiber. Virtually every expert in the professional cleaning industry has endorsed the use of microfiber cloths and mop heads. Some may dispute which cleaning tasks are best performed with microfiber, but all agree it is an excellent addition to the facility service provider's cleaning arsenal. Like all cleaning wipes and mops, microfiber can accumulate and spread soils and bacteria. It is important, therefore, to change them frequently to avoid cross-contamination and dissemination. To that end, microfiber cloths can now be easily folded into numbered quadrants; so that a fresh cleaning surface can always be selected; they can even be color-coded—new microfiber mop heads have been introduced that have colored tabs, allowing the user to select a specific color for each mop head depending on where or how it is used. These advances have made microfiber products more useful and helpful than ever before.